Dang, she got the kaiju in the divorce! That's why I'm not getting married . Yeah, you're correct they rarely pop up unfortunately. And you lost a matango man, as well? That's rough - I have been trying to score one of those for a long time. 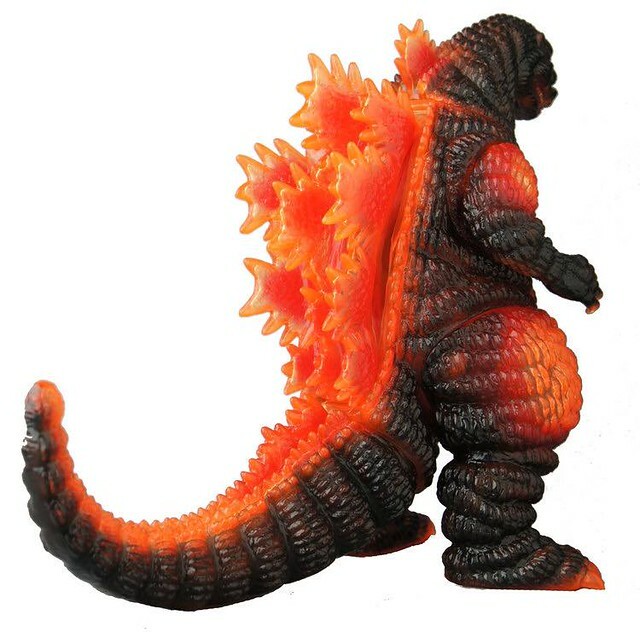 anyone here have that 98 ameri-goji or the godzilla babies set??? I guess since Sofvi Life is sort of part of Marmit I can mention it here. Following this mantra, I finally got a hold of my first Sofvi Life Hedorah! They're way bigger than I thought, but SO much fun! The textures, stance and facial expression are great!!! I read on Instagram(of all places ) that this was the/an original suit concept for Hedorah. Any truth to that? Beantime, The Moog, chimmychazz and 1 other person like this. ^^ yep, indeed he is! 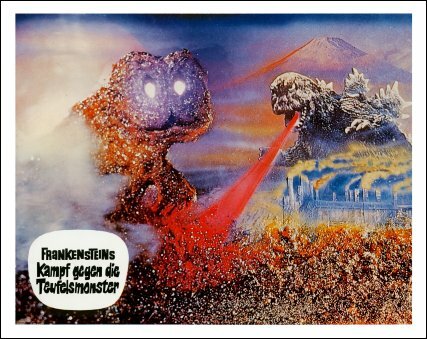 Here's the marvelous 70's German lobby card that I mentioned above that shows the early Hedorah design that the Sofvi Smoggie is based on ... very cool!! I think this is a great historical connection with a modern toy. High prices over a grand like the above actually have been happening for a few years or more now. It's mainly with Dept-H exclusives. Certain standard releases are also hitting high into the $200 to $500 range. 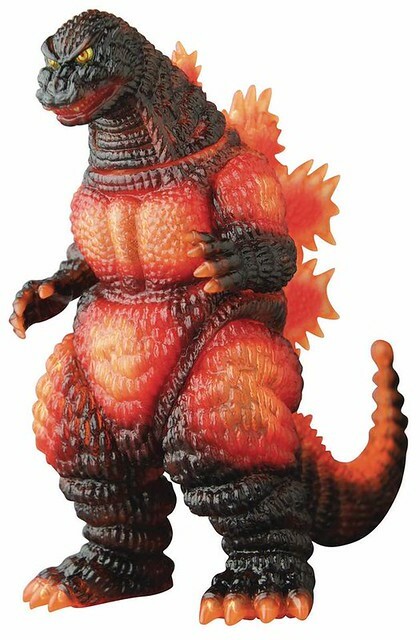 This demand came after Marmit change their distribution to Medicom Godzilla Vinyl Wars. Because international sales were available in the beginning for this line, it open up a new generation of collectors to stylized figures like Marmit. 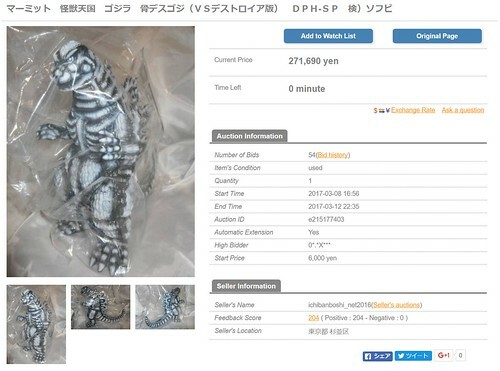 So more demand from collectors trying to get those older pieces. That is just some of the factors causing the demand and collectors dropping a lot of $$$ for Marmit. Anyone knows what's up with these? Are they exclusive only to the USA or will Medicom open pre-orders for them like all GVW releases? Tried googling but didn't manage to find anything. The Moog and deafmetal like this. Both are Diamond Distribution PX exclusives. The standard size is limited to 75 pieces. Expected release Jan 2018. Giant size is limited to 40 pieces. Expected release Feb 2018. The Moog, Alebrije, des_yeo03 and 3 others like this. Nope. 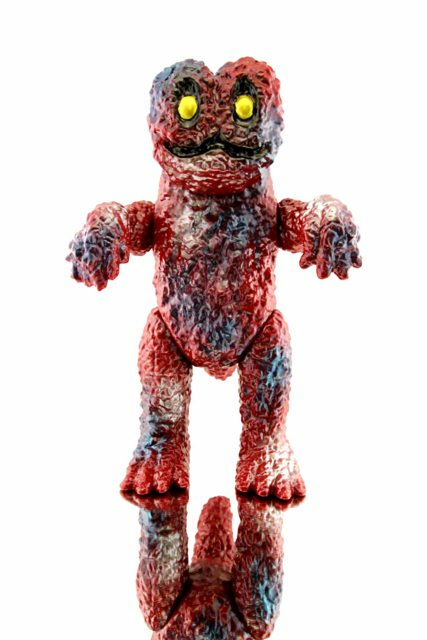 No 2014 Goji sofubi from either company. @des_yeo03 - The 200 production run is incorrect and Michael of VampireRobots accidentally inputted that. I let Michael know of the mistake and he has corrected the description and removed the production run completely from his description. Diamond Distribution PX will receive 75 pieces for the standard size, which Michael confirm. VampireRobots secure the majority of those pieces which are now sold out from him. ^^ Damn that thing is amazing. It looks like semi-transparent vinyl . . . or am i imagining that? 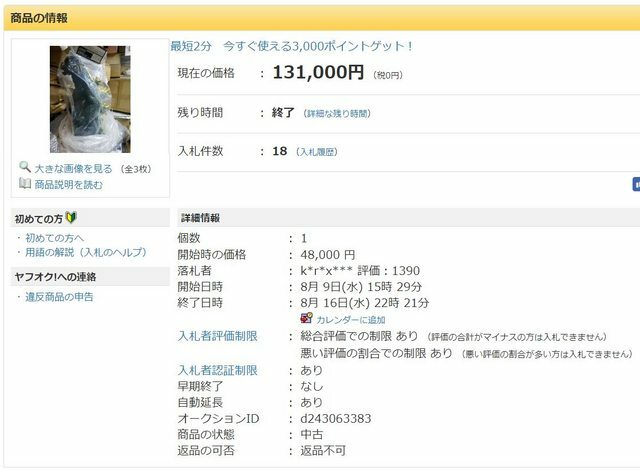 I wish i was one of the lucky 40 but i doubt very much i could afford it at the moment. They both look amazing. 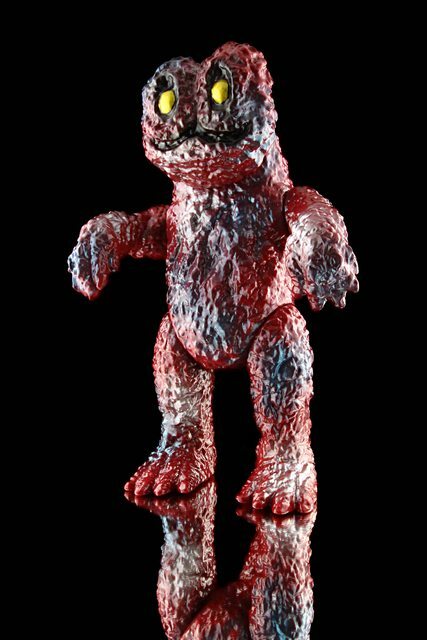 @chimply.kaiju - Anthony, do you own any Marmit DesuGojis? I have the giant Hyper Hobby release. Put in an order for both the new ones with VR. doomboy, The Moog, des_yeo03 and 2 others like this. @chimply.kaiju - Wowza! "Not many" but way more than my "none". I really like that last one -- great color design with the translucent vinyl. Not sure to put this here or the New Medicom thread, next in the GVW release. Neat Marmit Daimajin. 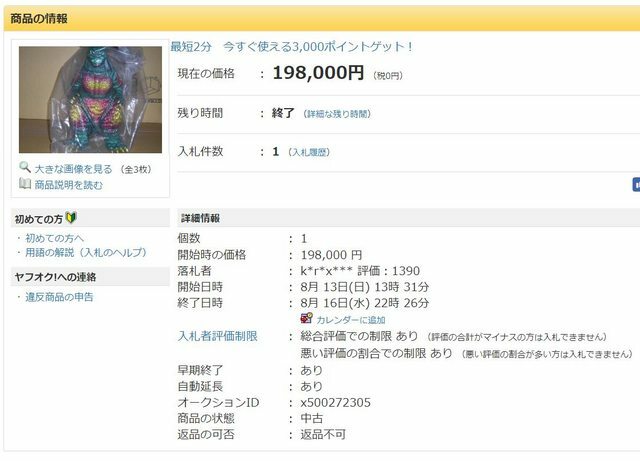 For those that are not aware, Riki Hashimoto who was the suit actor for all 3 Daimajin films passed away October 11, 2017. Sanjeev, rattanicus, xSuicide Squadx and 5 others like this. If the smaller one is an Omake, its the best Omake i've ever seen! It was an omake for this figure.